Football seems to have a hold on those involved that many of us don't experience in our working lives. It's not too much of an exaggeration to say that I've been daydreaming about my retirement since about second year at school. Football managers are different. They just keep going and going. Sir Alex Ferguson. Our very own Craig Brown. And now, as he approaches his 60th birthday, Kenny Dalglish. The king is back, long live the king. More than ten years since he left Celtic Park on the back of the John Barnes pantomime, for which he was at least partly responsible, Dalglish has been granted his wish and is back as Liverpool manager on an initially temporary basis until the end of the season. He had wanted the job before Roy Hodgson was appointed. When that didn't happen the presence of Dalglish, as revered as any of the Kop's heroes, hung over the club. No matter how dignified and respectful Dalglish was in his ambassodorial role, just by being there he offered a rallying point for increasingly disgruntled Liverpool fans. Some of those fans seem to think that Dalglish offers a quick fix, that his appointment will return immediate dividends. It would dangerous to put your faith in that. Liverpool's problems did not begin when Hodgson became manager. Nor will they end now that he has left. If Dalglish's methods, even his legend, can stir a reaction in the squad then they can improve. But from what I've seen of Liverpool this season their failings are too deep to be healed by nothing more than motivation. And if any club should realise the importance of steady, measured empire building it is Liverpool. Bill Shankly transformed the club. But European dominance wasn't delivered until after Shankly had retired. Their journey to pre-eminence in the 1970s and 1980s was about building a dynasty. No matter how messiah-like the new manager is depicted as being, he can't replicate that sort of success overnight. Emotional attachments, past achievements and a nostalgic longing for him to do well aside, what can we say for Dalglish the manager? His achievements at Liverpool and at Blackburn are on record and remain as impressive as they ever were. A good start at Newcastle drifted in his second season. Those Liverpool fans expecting their club to turn their back on Hodgson's defensiveness might have forgotten that the Newcastle fans came to deride Dalglish's negativity. At Celtic he steadied a ship that John Barnes had left steaming for the rocks. A league cup win followed but there was little evidence that anyone at Celtic wanted to retain Dalglish's services when the season ended. And let's not forget that Dalglish was in place to mentor and support Barnes. He failed in that role and, in prickly, facetious press conferences often conducted from a pub, he showed little desire or even aptitude for the day to day business involved in running a modern football club. A modern football club. Crucial that. The Liverpool Dalglish led to three league titles was closer to the Liverpool of Shankly than to the English Premier League side of today. 20 years away from the club and ten years out of football is a long time. For all that we're assured he's still watched the game passionately, that is not preparation for running a club like Liverpool. Nor, for example, do we know how Dalglish the manager will react to working with a Director of Football - a role he himself never appeared particularly comfortable with. So King Kenny is destined to failure, proof that you should never go back? No. The appointment of Steve Clarke is a clever one and offers Dalglish Mark II a firmer foundation than earlier rumours of Ian Rush becoming assistant would have. And Liverpool still have quality players. Maybe not enough and maybe some of them are experiencing commitment issues, but they remain good footballers. 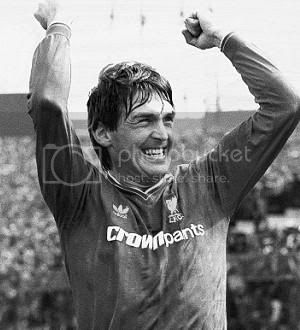 If anyone can unleash their potential surely it is Dalglish, a walking embodiment of both the glory days and the emotional pull of the club. His previous spell at Liverpool proved him to be a manager adept at knowing almost instinctively how to pick 11 players who could go out and do the jobs expected of them. Maybe the players will react to that more positively than they did to Hodgson's more lecturing style and system based methods. The truth is none of us know how Dalglish will fare. I don't know, the Liverpool fans don't know, the ex-Liverpool players lauding his appointment don't know and the press don't know. Maybe he himself doesn’t know. Some managers click at certain clubs and some don't. Dalglish has worked his magic at Liverpool before. It's a very different club now but he might well repeat the trick. I'm finding it hard to get over my initial scepticism though. We don't like to see our heroes fail. Dalglish is maybe the greatest Scottish football hero of them all, blessed with more ability in just his backside than most of us could dream of. And there is a chance that he's about to fail. And surely Liverpool's owners, New England Sports Ventures, realise is this is the simplest move they could make to establish their power at the club. For as long as he remained on the peripherary, active but not fully involved Dalglish offered the fans a figurehead to acclaim as they aired their grievances. That's now changed. If he succeeds then the new owners can bask in his reflected glory and acclaim themselves as visionaries for going back to the future. If he fails they can jettison him in the summer and free themselves of his influence, however benign he himself saw that influence as being. The past will be shown to have failed and the owners will be free to dictate their own future. I wish him luck and I'll be watching with interest. But my misgivings remain. Some years ago a retired Dalglish played for Hibs in a testimonial at Easter Road (I think for Alan Sneddon against Aston Villa) and made a cameo man-of-the-match appearance. Before driving home Dalglish was asked if there was anything he wanted. There was. A fish supper and a can of cream soda. The groundsman of the time was dispatched to the chippy to pick it up. Dalglish left a happy man. Old school. I only saw about the last ten minutes of Manchester United v Liverpool. And I haven't seen either the penalty or red card decisions. I've enjoyed the discussions over the past few days though. I don't actually believe Howard Webb is biased towards Manchester United through any skullduggery. Rather I think he is suspect in his handling of big games, swayed by both the crowd and how his decisions will be played in the media. That makes his career trajectory odd. What I've really been enjoying is the lists of Webb's failings produced by Liverpool fans, dossiers of evidence you might say. Bad refeereeing and the conspiracy theories that go with it recognise no borders. "Emotional attachments, past achievements and a nostalgic longing .... to do well" - you could have been talking about my club, Leeds United! We've lived through the agonies of 'ex-hero-worshipped-player-turned-manager', one after another, failing to re-kindle the passion and glories of former days, punctuated by equally miserable stints under managers brought in to save the day, shoring up leaky defences to avoid relegation. Brian Clough tried to exorcise the ghost of Revie in his ill-fated 44 days at Elland Road for many reasons, some of them due to his own demons. But he also recognised that Leeds had to move on; he had to dismantle the dynasty. Ironically, the Board knew it: resisting the temptation to appoint Bremner or Giles; Revie knew it too, leaving Clough with an ageing squad, most of them negotiating contract renewals that posed difficult questions as to whether they still had a role to play in the long-term. Through fearless and swashbuckling, attacking football, David O'Leary sought to re-define Leeds United, looking to gain the respect the club felt it had an automatic right to, particulary in the 'oh-so-nearly' European campaign of 2001/2. Leeds United's subsequent spectacular fall from grace to the third tier of English football, I believe, has given current manager, Simon Grayson, the opportunity to simply start again from scratch. I'm sure I read in an article in 'Leeds, Leeds, Leeds' (would you believe it the official LUFC magazine?) that like the most successful manager of the post-Revie era,'Sergeant Wilko' aka Howard Wilkinson, Grayson removed all the photos of the 'Dirty Leeds' squad, Revie's boys, from the corridors of Elland Road. Like you I don't know whether Kenny Dalglish will buck the trend and recreate those glory days. I wouldn't recommend the embarrassment of relegation, twice, as a means to an end. But I fear that the Mighty Reds may be deluded that they have a divine right to be in the top four, play in Europe, be in the Premiership, just because they're Liverpool. And the squad of second-rate, namby-pamby imports (obviously excepting Gerrard, Carragher and the few Scouse youth squad players that break into the first team) are just not good enough.